I just got back from the factory with some exciting news to report...the Full and Premium Kits from Shapeoko batch #1 have started shipping! Below is a photo I took out on the dock right as I was leaving. The boxes were stacked up waiting for the UPS truck to come. 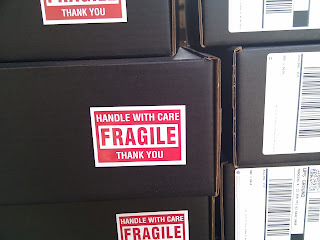 You'll notice we've added the "Handle with Care" stickers in the hopes that UPS doesn't try to throw them like a football. From the outside the kits look the same as the Mechanical kits but the inside is much different. Here's a small taste of what you'll find inside. 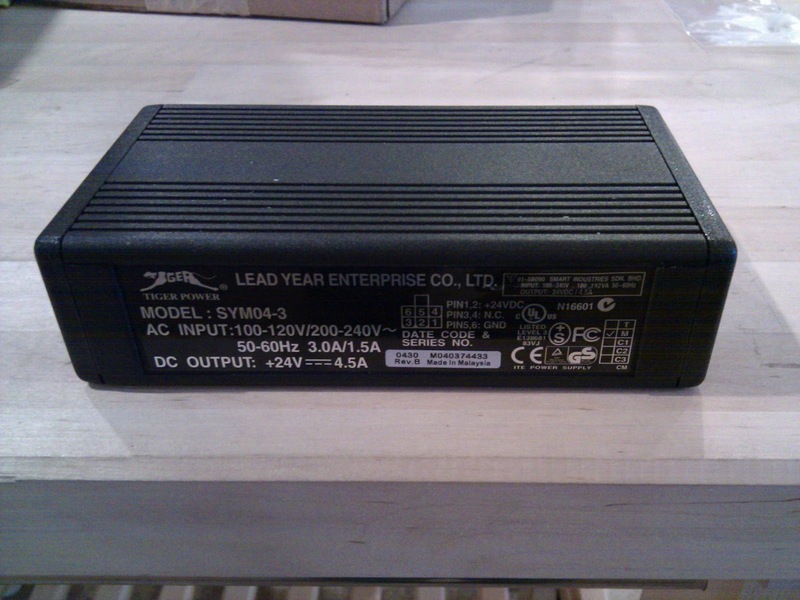 The first thing is everyone got a power supply that works from 100v - 240v. This made it possible for the same power supply to be used in every country. We did a little research on the power plugs in each country and bought the appropriate plugs for everyone. 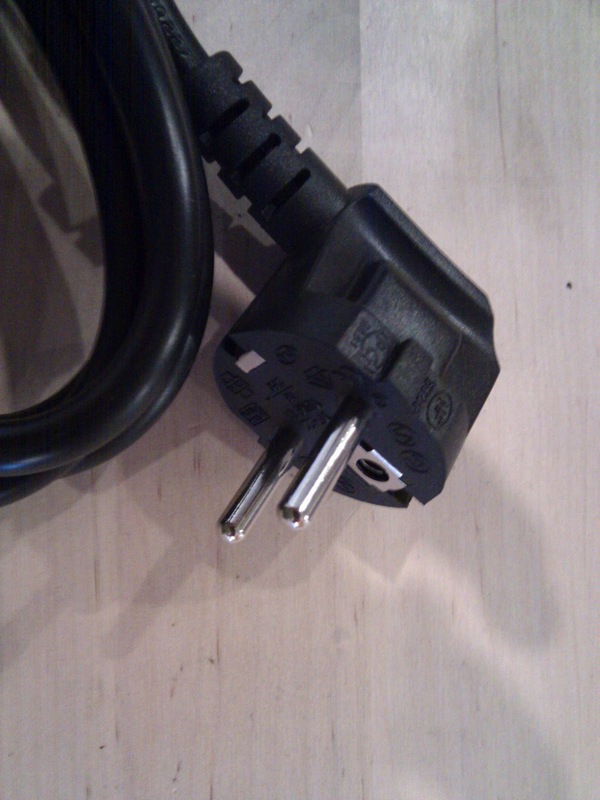 In the event that you take your machine to a different country or the place you are plugging in doesn't use the national standard we used standard computer power cables so you can just replace the cord with one you get locally. Here's an example of the one we got for most European countries. 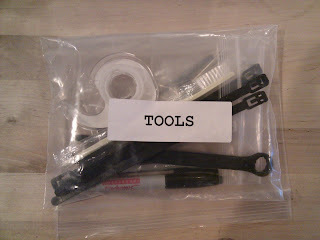 The Full and Premium kits also got 2 additional bags one full of tools and one full of items for the electronics. We creatively named these bags "Tools" and "Electronics". The actual electronics had their own packaging so we used it. 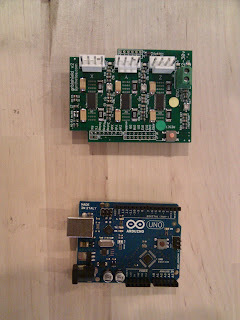 The grbl shield came in anti-static pink bubble wrap and the Arduino came in a nice cardboard box. We did load the hex file onto all the Arduinos for everyone so if you notice a crease in the box it was because we had to put them back inside. This should save lots of time and headache when you try to get up and running. We have one surprise that wasn't included in the BOM. 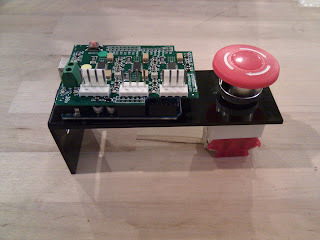 We made a little stand for the electronics and the eStop. 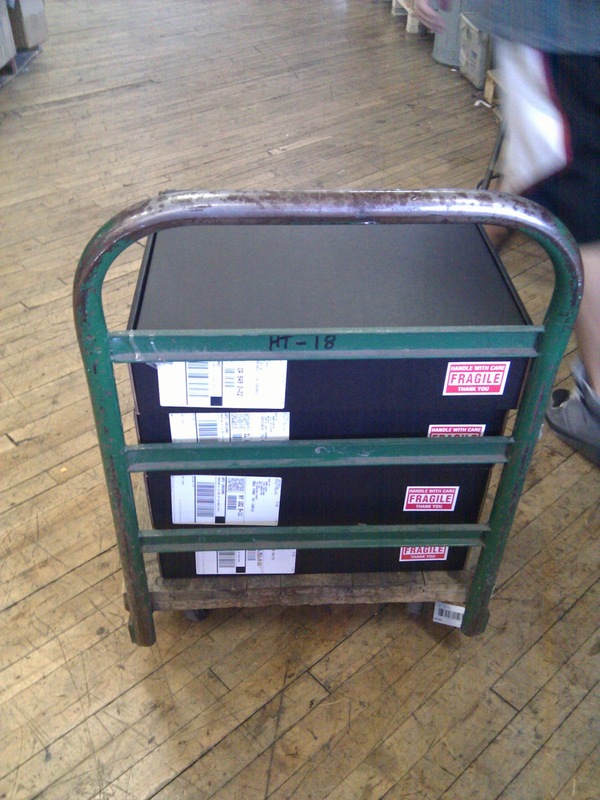 The stand uses the eStop as a leg. 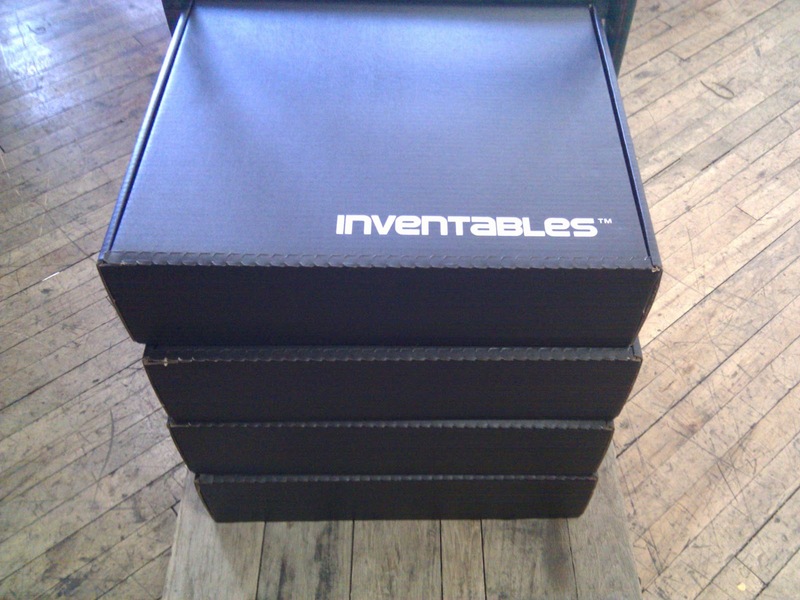 We are going to publish the files and folks can actually make fancier cases using their Shapeoko's as a first project. Everyone got 3 motors. 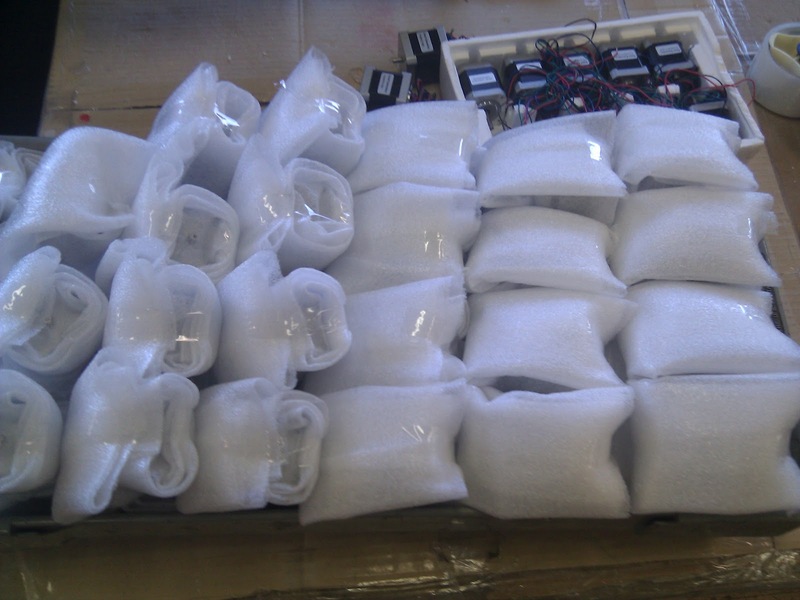 The motors were wrapped in foam to make sure they stay protected during the journey from the factory to your door. We also threw in 16 extra washers with the motors that are optional but could be used if you don't like the space in between the motors and the mount plates. You don't need them but some people wanted them so we threw them in. If you don't like how they look then save them for something else or throw them out. If you are in batch #1 and got an email with your tracking number then your Shapeoko is on the way. If not you'll get one very soon because all the labels have been printed and all the boxes are going through the final quality assurance step. As soon as they are ready they go downstairs to the dock on this little cart. Every batch #1 kit is scheduled to be picked up by UPS and USPS as they are complete all week! Thanks so much for this update... I'm waiting for my Shapeoko and I'm sooooo excited.